Sure Grip Jam plugs 5/16"
To protect your plate and the floor while skating without toestops. 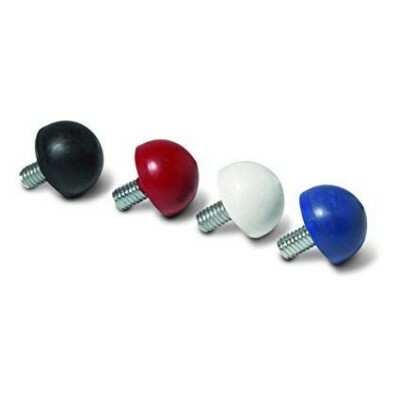 Sure-Grip Jam Plugs are the perfect indoor or outdoor toe stops for rhythm, jam, and artistic skating. To protect your plate and the floor while skating without toestops. The 5/16" diameter allows these plugs to fit most industry (rec) plates and awesome colours allows you to add style in the process!